Each month we send out complete ADS-B receiver kits that include an ADS-B receiver, antennas, and all necessary cabling to qualified hosts. You can apply to host one of our receivers or easily build your own. The dozens of new Flightradar24-supplied receiver kits and the hundreds of home-built receivers activated in February, combined with over 20,000 existing receivers, helped us track 5.4 million flights. 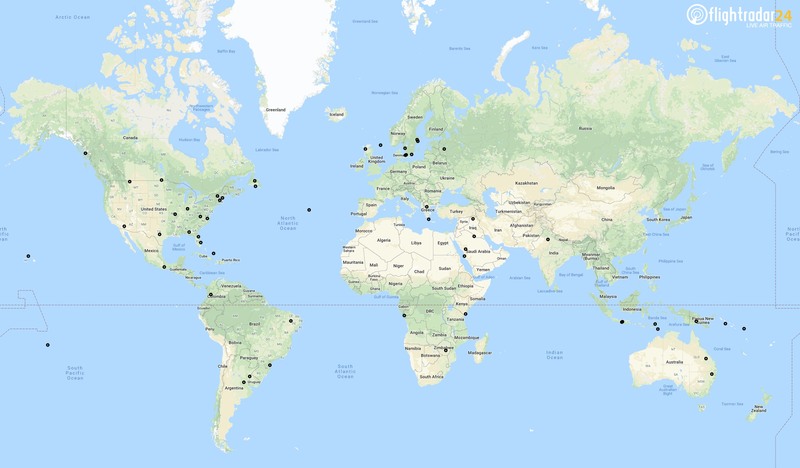 New receivers activated in March helped improve our coverage in places like eastern Canada and islands in the South Pacific Ocean. Our MLAT coverage in the United States experienced improvement as well. We are always looking for new receiver hosts. Especially if you or someone you know lives in a remote location, please apply to host a receiver. All of our receiver hosts get a free Flightradar24 Business Subscription, which can be used on the web or within our mobile app. If you’re interested, please apply today. If you’d you like more information about our application process, you can read more about it in our blog post. Have a Raspberry Pi sitting around collecting dust or looking to get started with tracking flights with a quick project? Build your own receiver to help us increase ADS-B and MLAT coverage in your area. Our simple guide walks you through the steps from getting the parts you need to setting up your receiver. Learn more today!